High Performance, Hermetic Low Noise Amplifier. The HILNA LS C026 operates at 1400 MHz to 1900 MHz delivering 21 dB of gain with a noise figure of less than 2 dB and OIP3 of +30dBm. These units are hermetically sealed to withstand most rugged environments. The HILNA LS C026 is the latest addition to the family of HILNA broadband low noise amplifiers, within L-Band frequencies. 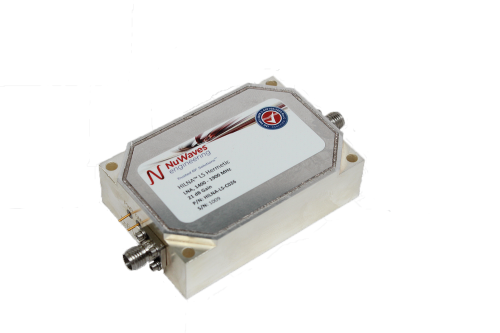 This model features a miniature form factor of 3.2 cubic inches ideal for RF Front Ends, High Performance Receivers, Base Station Low Noise Amplifiers, and more!